Medical supplies & records, x-rays, laboratory specimens, legal and court reports, architectural plans, mortgage papers, insurance documents, and more. Time is of the essence when handling medical deliveries. Monroe Logistics staff is highly trained in the transportation of medical products and specimens, including Blood borne Pathogens, Biological Substance Category B (UN3373) as well as Biological Substance Spill Containment and Cleanup procedures. We comply with all OSHA standards and adhere to HIPPA Privacy and Confidentiality practice in accordance to Public Law 104-191. Whether handling x-rays, lab specimens, equipment or STAT deliveries you can be assured that we will handle your request timely and effectively. Regardless of the size of the delivery, final destination or delivery time, we have a program to service the needs of your company. We understand the necessity for fast, error-free service and we are certain you will be pleased with our work. 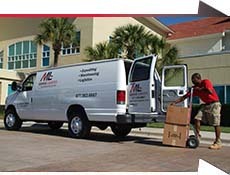 Our network of affiliates across the country allows us to move packages with ease. Depending on your requirements packages can be moved by small vehicles, long haul trucks or by air. Whether your situation calls for delivery same day, next day or beyond we have a solution.